We provide a complete bookkeeping and business development solution to help you grow a scalable and profitable business. We’re passionate about achieving work life balance and enjoying business. The way we achieve this for you is to put in systems and processes to remove the stress around time and money. This allows you to enjoy your business, while remaining profitable and scalable. Staff – finding them, keeping them, motivating them, keeping them loyal. Technology – not having it, having too much of it, not knowing what to do with it. Money – keeping it coming in, not overspending, managing upcoming expenses. Time – not enough of it, not knowing how to best spend it. Staying competitive – keeping up with the latest trends and innovations in your industry, meeting client expectations. Customer churn – getting new customers in the door and getting them to keep coming back. We’ve found that although many businesses have similar requirements, there’s no one-size-fits-all solution so it’s important for us to be able to understand your business and design our service around that. Use the below information as a guide and we’ll refine our services for you after we discuss your needs in more detail. Take a ride on the digital tsunami. Not all bookkeepers are created equal and sometimes files get behind or in a mess. We’re here to put the pieces back together. Taking care of all the day-to-day bookkeeping so you can take care of business – we’re not your ordinary bookkeeper! 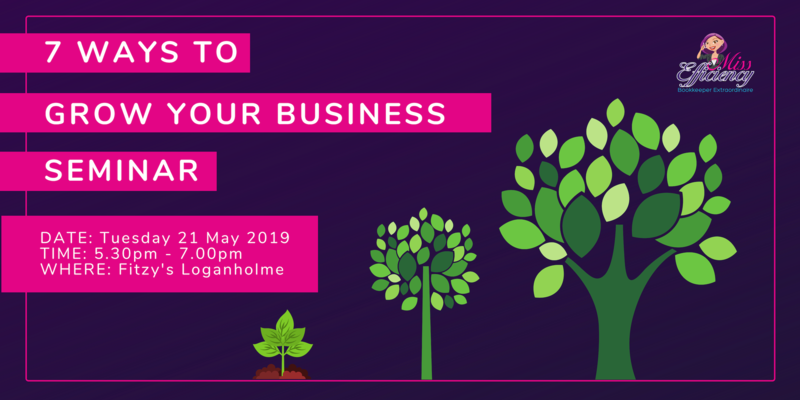 Business development helps you develop an engaged and connected team, and grow a sustainable and profitable business. Don’t just take our word for it, hear what our clients have to say about us! And more here. "We have complete trust in Sarah"
We have complete trust in Sarah and she has full access to our business bank accounts. This means that I don't have to worry about getting bank statements or finding the time to authorise supplier payments. Sarah takes care of all of that for me and has set up a transparent system so we can still see exactly what's going on. "She shares her passion and has a passion for excellence"
Sarah not only understands the dynamics of establishing, growing and running a business, she has the rare ability to share her knowledge and skills with clarity, empathy and a real passion for excellence. 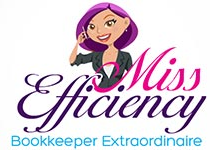 The name of her business 'Miss Efficiency', fits her to perfection.